Shiny, juicy twists are just the tip of the iceberg. The Black n' Curly challenge is giving me life. Not only do I feel proud as a mug to support, promote, and explicitly use Black Owned hair products, I feel incredibly focused. I'm a person of prinicpal. Meaning, I make decisions based upon a guiding set of meaningful ideas. While I'm a product junkie with an attention span of a goldfish, I don't like to be tossed about to and fro by every wind or wave. Just because MoKnowsHair is doing it, doesn't mean I have to, too. And just because Nap85 loves it, doesn't mean I have to run out and see if I will, too. And believe me when I say this - there are brands that you will never, EVER see me use, promote, or purchase. 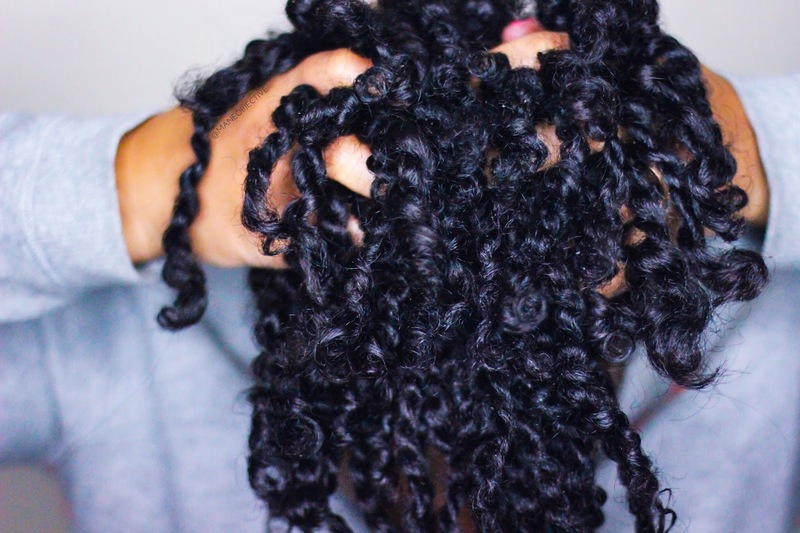 In this same vein rests the Black n' Curly challenge. 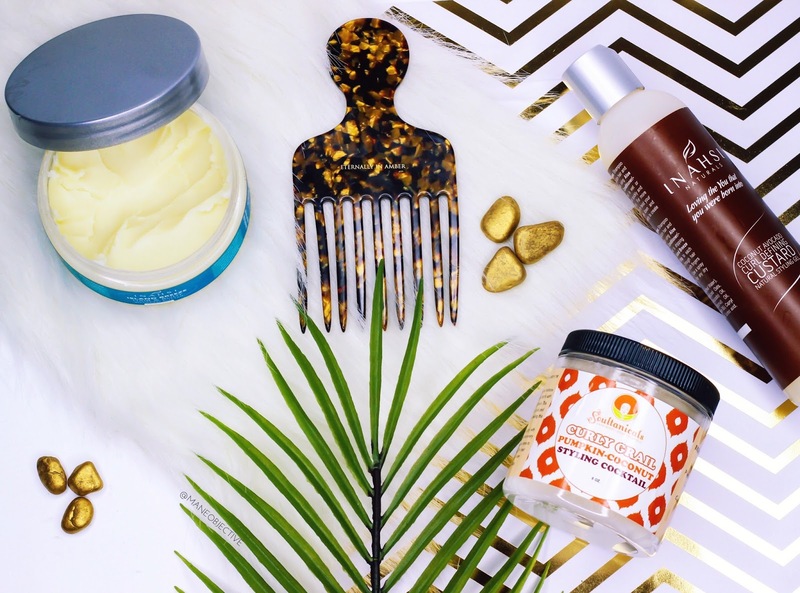 It's not just about supporting Black Owned hair care companies because they're Black Owned. We've evolved way past that point. It's about supporting the pioneers, the visionaries, the do-ers - the ones who have taken up the mantle and made it their mission to put us first, for us - because nobody else gave a hot hell about healthy Black hair...until it became profitable to do so. That said, let's recap my first week experience. Talk about an easy, breezy wash day. You guys already know how I feel about this stuff. In case you don't, click here to learn more. 2016 Christina's Choice curl defining champ. Need I say more? If the answer is yes, read my review here! Another Christina's Choice 2016 winner. Read my review and all the feels here. 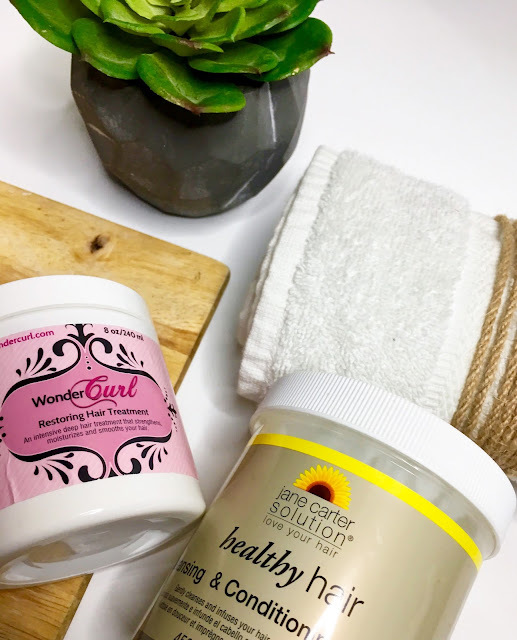 This was my first time trying out the Wonder Curl Restoring Hair Treatment, and I must say - I'm impressed! To be a 'cone-free product, it shoooole does have slip! It's easy on the curls, super moisturizing, and left my hair virtually frizz-free and super shiny upon rinsing. I'll definitely be using this again! For some reason, I was expecting Curly Grail to be a thicker, denser potion. But it's quite spreadable - it almost reminds me of Eden's Coconut Shea leave-in (kinda). That said, it's super moisturizing, and works great as a leave-in conditioner. I've developed a serious love affair with this stuff. Not only does it smell like what I imagine heaven smells like, it's literally the only water-based butter I've ever seen. That means it seals in moisture, while being hydrating. And adding shine. And just, being life in general. While I've used the Coconut Avocado Curl Defining Custard before, I've never done anything outside of a wash and go with it. The switch-up was real as I opted to use it for adding some hold to my chunky-esque twists. The results? Epic shine, soft, touchable hold, and juicy twists that didn't look a fuzzy mess the next morning. I consider that last part an accomplishment, personally. My curls were sooooo luscious and poppin' I didn't know how to act. I rode that wash and go until the wheels fell off. And then, after the wheels fell off, I walked it out. Lol! 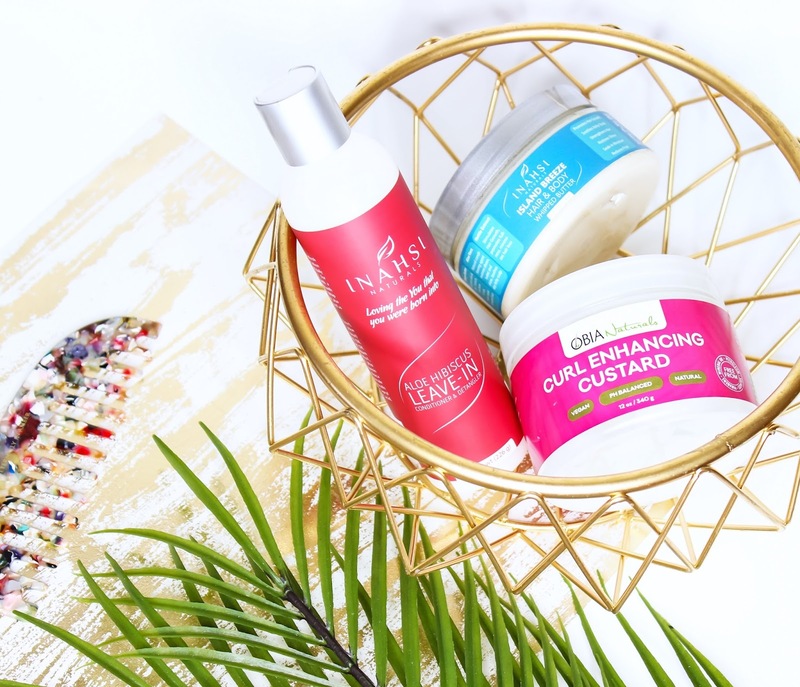 For the wash and go, I used Inahsi's Leave-In and Island Breeze Hair Whip, along with Obia's Curl Enhancing Custard. 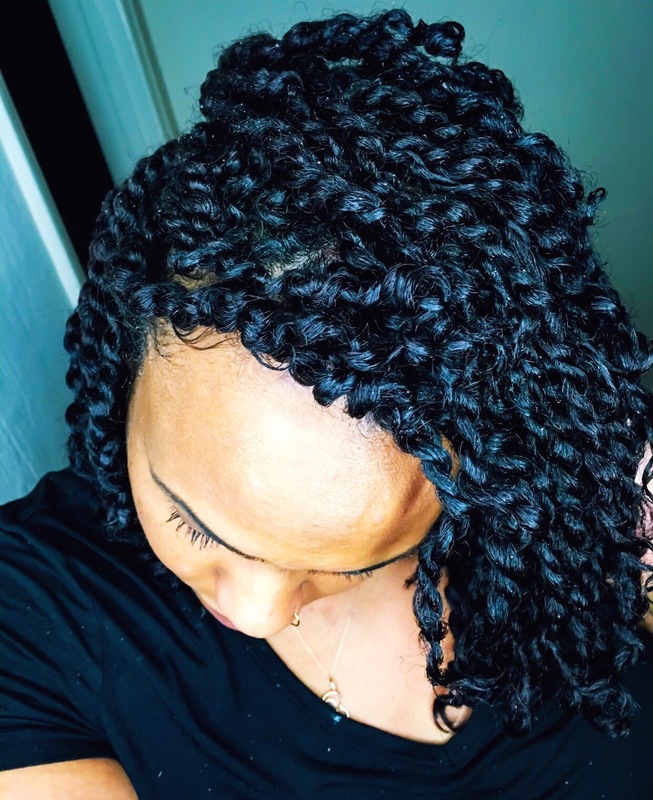 I also considered my twists a victory, because any time I can get my twists to last more than 1 day without unraveling or turning into a fuzzy mess, I know I've won. I achieved twisty success with Soultanicals Curly Grail, Inahsi's Island Breeze Hair Whip, and their Coconut Avocado Curl Defining Custard. These three turned my crazy curls into twisted greatness! Overall, my curls are responding exceptionally well to the styling products - which I kinda knew would happen, because a number of them I use regularly anyway. Although we're just talking week 1, so far so good. No major issues, or anything super problematic. My hair looks great, and feels great too. I thought I'd be hard up without my ApHogee 2 Minute Reconstructor, but so far we're managing. Bring it on, week 2! Next week, you can expect to see brands like Koils By Nature, tgin, Shescentit, and Kurlee Belle in action!